I am very delight­ed that you have shown inter­est in my Inter­net page. Data pro­tec­tion is of a par­tic­u­lar­ly high pri­or­i­ty for me. The use of this Inter­net pages pos­si­ble with­out any indi­ca­tion of per­son­al data; how­ev­er, if a data sub­ject wants to use spe­cial ser­vices via my web­site, pro­cess­ing of per­son­al data could become nec­es­sary. If the pro­cess­ing of per­son­al data is nec­es­sary and there is no statu­to­ry basis for such pro­cess­ing, I gen­er­al­ly obtain con­sent from the data sub­ject. The pro­cess­ing of per­son­al data, such as the name, address, e-mail address, or tele­phone num­ber of a data sub­ject shall always be in line with the Gen­er­al Data Pro­tec­tion Reg­u­la­tion (GDPR), and in accor­dance with the coun­try-spe­cif­ic data pro­tec­tion reg­u­la­tions applic­a­ble to me. By means of this data pro­tec­tion dec­la­ra­tion, I would like to inform the gen­er­al pub­lic of the nature, scope, and pur­pose of the per­son­al data I col­lect, use and process. Fur­ther­more, data sub­jects are informed, by means of this data pro­tec­tion dec­la­ra­tion, of the rights to which they are enti­tled. As the con­troller, I have imple­ment­ed numer­ous tech­ni­cal and orga­ni­za­tion­al mea­sures to ensure the most com­plete pro­tec­tion of per­son­al data processed through this web­site. How­ev­er, Inter­net-based data trans­mis­sions may in prin­ci­ple have secu­ri­ty gaps, so absolute pro­tec­tion may not be guar­an­teed. For this rea­son, every data sub­ject is free to trans­fer per­son­al data to us via alter­na­tive means, e.g. by tele­phone. My pro­tec­tion dec­la­ra­tion is based on the terms used by the Euro­pean leg­is­la­tor for the adop­tion of the Gen­er­al Data Pro­tec­tion Reg­u­la­tion (GDPR). My data pro­tec­tion dec­la­ra­tion should be leg­i­ble and under­stand­able for the gen­er­al pub­lic, as well as my cus­tomers and busi­ness part­ners. To ensure this, I would like to first explain the ter­mi­nol­o­gy used. My Inter­net pages use cook­ies. Cook­ies are text files that are stored in a com­put­er sys­tem via an Inter­net brows­er. Through the use of cook­ies, I can pro­vide the users of this web­site with more user-friend­ly ser­vices that would not be pos­si­ble with­out the cook­ie set­ting. By means of a cook­ie, the infor­ma­tion and offers on my web­site can be opti­mized with the user in mind. Cook­ies allow me, as pre­vi­ous­ly men­tioned, to rec­og­nize my web­site users. The pur­pose of this recog­ni­tion is to make it eas­i­er for users to uti­lize my web­site. The web­site user that uses cook­ies, e.g. does not have to enter access data each time the web­site is accessed, because this is tak­en over by the web­site, and the cook­ie is thus stored on the user’s com­put­er sys­tem. Anoth­er exam­ple is the cook­ie of a shop­ping cart in an online shop. The online store remem­bers the arti­cles that a cus­tomer has placed in the vir­tu­al shop­ping cart via a cook­ie. The data sub­ject may, at any time, pre­vent the set­ting of cook­ies through my web­site by means of a cor­re­spond­ing set­ting of the Inter­net brows­er used, and may thus per­ma­nent­ly deny the set­ting of cook­ies. Fur­ther­more, already set cook­ies may be delet­ed at any time via an Inter­net brows­er or oth­er soft­ware pro­grams. This is pos­si­ble in all pop­u­lar Inter­net browsers. If the data sub­ject deac­ti­vates the set­ting of cook­ies in the Inter­net brows­er used, not all func­tions of my web­site may be entire­ly usable. My web­site col­lects a series of gen­er­al data and infor­ma­tion when a data sub­ject or auto­mat­ed sys­tem calls up the web­site. This gen­er­al data and infor­ma­tion are stored in the serv­er log files. Col­lect­ed may be (1) the brows­er types and ver­sions used, (2) the oper­at­ing sys­tem used by the access­ing sys­tem, (3) the web­site from which an access­ing sys­tem reach­es my web­site (so-called refer­rers), (4) the sub-web­sites, (5) the date and time of access to the Inter­net site, (6) an Inter­net pro­to­col address (IP address), (7) the Inter­net ser­vice provider of the access­ing sys­tem, and (8) any oth­er sim­i­lar data and infor­ma­tion that may be used in the event of attacks on my infor­ma­tion tech­nol­o­gy sys­tems. When using these gen­er­al data and infor­ma­tion, I do not draw any con­clu­sions about the data sub­ject. Rather, this infor­ma­tion is need­ed to (1) deliv­er the con­tent of my web­site cor­rect­ly, (2) opti­mize the con­tent of my web­site as well as its adver­tise­ment, (3) ensure the long-term via­bil­i­ty of my infor­ma­tion tech­nol­o­gy sys­tems and web­site tech­nol­o­gy, and (4) pro­vide law enforce­ment author­i­ties with the infor­ma­tion nec­es­sary for crim­i­nal pros­e­cu­tion in case of a cyber-attack. There­fore, I ana­lyze anony­mous­ly col­lect­ed data and infor­ma­tion sta­tis­ti­cal­ly, with the aim of increas­ing the data pro­tec­tion and data secu­ri­ty, and to ensure an opti­mal lev­el of pro­tec­tion for the per­son­al data I process. The anony­mous data of the serv­er log files are stored sep­a­rate­ly from all per­son­al data pro­vid­ed by a data sub­ject. I also deliv­er my con­tri­bu­tions as Accel­er­at­ed Mobile Pages (AMP). It is there­fore pos­si­ble that, for exam­ple, after a Google search with your smart­phone or, for exam­ple, in the Twit­ter app on your smart­phone, you may read our con­tri­bu­tions on the Inter­net and these are part­ly or not at all on our servers. Instead, it is pos­si­ble that the pages or parts of the pages (in par­tic­u­lar scripts) are deliv­ered direct­ly by third par­ties such as Google. You will notice this in many cas­es because the URL from which you accessed this page does not con­tain our domain name (i.e. our Inter­net address­es), but e.g. the domain name of Google. Google will not change the source code of our site. If the AMP ver­sion of the site or parts of the site is host­ed by Google or oth­er third par­ties and/​or is accessed from there, we have no influ­ence on data pro­cess­ing and the han­dling of your IP address. We make sure that we do not col­lect any per­son­al data via our AMP pages and have there­fore deac­ti­vat­ed all forms in the AMP ver­sion. You can find Google’s pri­va­cy pol­i­cy at https://​www​.google​.com/​p​o​l​i​c​i​e​s/privacy/. I offer users the pos­si­bil­i­ty to leave indi­vid­ual com­ments on indi­vid­ual blog con­tri­bu­tions on a blog, which is on the web­site of the con­troller. A blog is a web-based, pub­licly-acces­si­ble por­tal, through which one or more peo­ple called blog­gers or web-blog­gers may post arti­cles or write down thoughts in so-called blog­posts. Blog­posts may usu­al­ly be com­ment­ed by third par­ties. If a data sub­ject leaves a com­ment on the blog pub­lished on this web­site, the com­ments made by the data sub­ject are also stored and pub­lished, as well as infor­ma­tion on the date of the com­men­tary and on the user’s (pseu­do­nym) cho­sen by the data sub­ject. In addi­tion, the IP address assigned by the Inter­net ser­vice provider (ISP) to the data sub­ject is also logged. This stor­age of the IP address takes place for secu­ri­ty rea­sons, and in case the data sub­ject vio­lates the rights of third par­ties, or posts ille­gal con­tent through a giv­en com­ment. The stor­age of these per­son­al data is, there­fore, in the own inter­est of the data con­troller, so that he can excul­pate in the event of an infringe­ment. This col­lect­ed per­son­al data will not be passed to third par­ties, unless such a trans­fer is required by law or serves the aim of the defense of the data con­troller. This site uses the exter­nal avatar ser­vice Gra­vatar, oper­at­ed by Automat­tic Inc, 60 29th Street #343, San Fran­cis­co, CA 94110 – 4929, USA (“Automat­tic”) for the dis­play of user images (“avatars”) in the com­ments. The e-mail address giv­en in the com­ments will be trans­mit­ted to Gra­vatar, if you agree, in order to dis­play any user image linked to this e-mail address with­in the com­ments. A check­sum of your e-mail address is trans­mit­ted encrypt­ed to Gravatar’s servers, which in turn deliv­er the user images to the web­site and include them in the com­ments on the page. By dis­play­ing the images, Gra­vatar can store their IP address. For more infor­ma­tion on Gravatar’s col­lec­tion and use of the data, please see Gravatar’s pri­va­cy pol­i­cy at https://​de​.gra​vatar​.com/​s​i​te/privacy and https://​automat​tic​.com/privacy/. If you do not want a check­sum of your email address to be trans­mit­ted to Gra­vatar or a user image linked to your email address at Gra­vatar appears in the com­ments, you should not agree to this fea­ture when com­ment­ing or use an email address that is not stored at Gra­vatar when com­ment­ing. Each data sub­ject shall have the right grant­ed by the Euro­pean leg­is­la­tor to obtain from the con­troller the con­fir­ma­tion as to whether or not per­son­al data con­cern­ing him or her are being processed. If a data sub­ject wish­es to avail him­self of this right of con­fir­ma­tion, he or she may, at any time, con­tact me. If a data sub­ject wish­es to avail him­self of this right of access, he or she may, at any time, con­tact me. If a data sub­ject wish­es to exer­cise this right to rec­ti­fi­ca­tion, he or she may, at any time, con­tact me. If one of the afore­men­tioned rea­sons applies, and a data sub­ject wish­es to request the era­sure of per­son­al data stored by me, he or she may, at any time, con­tact me. I shall prompt­ly ensure that the era­sure request is com­plied with imme­di­ate­ly. Where the con­troller has made per­son­al data pub­lic and is oblig­ed pur­suant to Arti­cle 17(1) to erase the per­son­al data, the con­troller, tak­ing account of avail­able tech­nol­o­gy and the cost of imple­men­ta­tion, shall take rea­son­able steps, includ­ing tech­ni­cal mea­sures, to inform oth­er con­trollers pro­cess­ing the per­son­al data that the data sub­ject has request­ed era­sure by such con­trollers of any links to, or copy or repli­ca­tion of, those per­son­al data, as far as pro­cess­ing is not required. I will arrange the nec­es­sary mea­sures in indi­vid­ual cas­es. If one of the afore­men­tioned con­di­tions is met, and a data sub­ject wish­es to request the restric­tion of the pro­cess­ing of per­son­al data stored by me, he or she may at any time con­tact me. I will arrange the restric­tion of the pro­cess­ing. In order to assert the right to data porta­bil­i­ty, the data sub­ject may at any time con­tact me. I shall no longer process the per­son­al data in the event of the objec­tion, unless I can demon­strate com­pelling legit­i­mate grounds for the pro­cess­ing which over­ride the inter­ests, rights and free­doms of the data sub­ject, or for the estab­lish­ment, exer­cise or defence of legal claims. If I process per­son­al data for direct mar­ket­ing pur­pos­es, the data sub­ject shall have the right to object at any time to pro­cess­ing of per­son­al data con­cern­ing him or her for such mar­ket­ing. This applies to pro­fil­ing to the extent that it is relat­ed to such direct mar­ket­ing. If the data sub­ject objects to me to the pro­cess­ing for direct mar­ket­ing pur­pos­es, I will no longer process the per­son­al data for these pur­pos­es. In addi­tion, the data sub­ject has the right, on grounds relat­ing to his or her par­tic­u­lar sit­u­a­tion, to object to pro­cess­ing of per­son­al data con­cern­ing him or her by me for sci­en­tif­ic or his­tor­i­cal research pur­pos­es, or for sta­tis­ti­cal pur­pos­es pur­suant to Arti­cle 89(1) of the GDPR, unless the pro­cess­ing is nec­es­sary for the per­for­mance of a task car­ried out for rea­sons of pub­lic inter­est. In order to exer­cise the right to object, the data sub­ject may con­tact me. In addi­tion, the data sub­ject is free in the con­text of the use of infor­ma­tion soci­ety ser­vices, and notwith­stand­ing Direc­tive 2002/​58/​EC, to use his or her right to object by auto­mat­ed means using tech­ni­cal spec­i­fi­ca­tions. If the deci­sion (1) is nec­es­sary for enter­ing into, or the per­for­mance of, a con­tract between the data sub­ject and a data con­troller, or (2) it is based on the data subject’s explic­it con­sent, I shall imple­ment suit­able mea­sures to safe­guard the data subject’s rights and free­doms and legit­i­mate inter­ests, at least the right to obtain human inter­ven­tion on the part of the con­troller, to express his or her point of view and con­test the deci­sion. If the data sub­ject wish­es to exer­cise the rights con­cern­ing auto­mat­ed indi­vid­ual deci­sion-mak­ing, he or she may, at any time, con­tact me. If the data sub­ject wish­es to exer­cise the right to with­draw the con­sent, he or she may, at any time, con­tact me. On this web­site, the con­troller has inte­grat­ed a track­ing pix­el. A track­ing pix­el is a thumb­nail image that is embed­ded in web pages to enable a log file record­ing and a log file analy­sis so that a sta­tis­ti­cal analy­sis may be per­formed. The inte­grat­ed track­ing pix­els serve the Scal­able Cen­tral Mea­sure­ment Sys­tem (SZMS) of the col­lect­ing soci­ety WORT (VG Wort). The Scal­able Cen­tral Mea­sure­ment Sys­tem is oper­at­ed by INFOn­line GmbH, Forum Bonn Nord, Brüh­ler Str. 9, 53119 Bonn. The Scal­able Cen­tral Mea­sure­ment Sys­tem is used to deter­mine with sta­tis­ti­cal key fig­ures, the prob­a­bil­i­ty of the copy­ing of texts. The embed­ded track­ing pix­el ensures that the col­lect­ing soci­ety WORT may detect whether, when, and how var­i­ous users (includ­ing the data sub­ject) opened my web­site and what con­tent was retrieved. The data obtained using the Scal­able Cen­tral Mea­sure­ment Sys­tem is col­lect­ed anony­mous­ly. To cap­ture the traf­fic, either a so-called ses­sion cook­ie is cre­at­ed for the pur­pose of recog­ni­tion of the users of a web­site, that is a sig­na­ture, which con­sists of var­i­ous auto­mat­i­cal­ly trans­mit­ted infor­ma­tion, or alter­na­tive meth­ods are used. The IP address of the Inter­net con­nec­tion used by the data sub­ject is col­lect­ed only in anonymised form and processed. The data sub­ject is not iden­ti­fied at any time. The data sub­ject may, as stat­ed above, pre­vent the set­ting of cook­ies through my web­site at any time by means of a cor­re­spond­ing adjust­ment of the web brows­er used and thus con­tra­dict the set­ting of cook­ies per­ma­nent­ly. Such an adjust­ment to the Inter­net brows­er used would also pre­vent VG Wort from set­ting a cook­ie on the infor­ma­tion tech­nol­o­gy sys­tem of the data sub­ject. In addi­tion, cook­ies already in use by VG Wort may be delet­ed at any time via a web brows­er or oth­er soft­ware pro­grams. In addi­tion, the data sub­ject has the pos­si­bil­i­ty of object­ing to a col­lec­tion of data gen­er­at­ed by VG Wort relat­ed to the use of this web­site, as well as to the pro­cess­ing of these data through VG Wort and the chance to pre­clude any such. For this pur­pose, the data sub­ject must press the ‘opt-out’ but­ton under the link http://​optout​.ioam​.de, which sets an opt-out cook­ie. The opt-out cook­ie used for this pur­pose is placed on the infor­ma­tion tech­nol­o­gy sys­tem used by the data sub­ject. If the cook­ies are delet­ed on the sys­tem of the data sub­ject, then the data sub­ject must call up the link again and set a new opt-out cook­ie. With the set­ting of the opt-out cook­ie, how­ev­er, the pos­si­bil­i­ty exists that the web­sites of the con­troller are not ful­ly usable any­more by the data sub­ject. The applic­a­ble data pro­tec­tion pro­vi­sions of INFOn­line may be accessed under https://​www​.infon​line​.de/​d​a​tenschutz/. On this web­site, the con­troller has inte­grat­ed the com­po­nent of Shar­iff. The Shar­iff com­po­nent pro­vides social media but­tons that are com­pli­ant with data pro­tec­tion. Shar­iff was devel­oped for the Ger­man com­put­er mag­a­zine c’t. Typ­i­cal­ly, the but­ton solu­tions pro­vid­ed by the social net­works already trans­mits per­son­al data to the respec­tive social net­work, when a user vis­its a web­site in which a social media but­ton was inte­grat­ed. By using the Shar­iff com­po­nent, per­son­al data is only trans­ferred to social net­works, when the vis­i­tor active­ly acti­vates one of the social media but­tons. 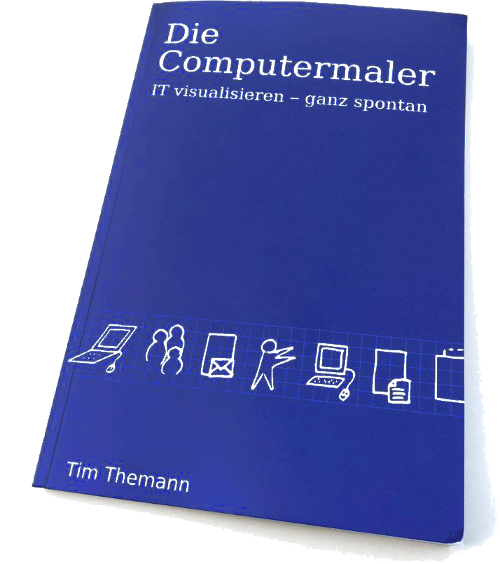 Fur­ther infor­ma­tion on the Shar­iff com­po­nent may be found in the com­put­er mag­a­zine c’t under http://​www​.heise​.de/​n​e​w​s​t​i​c​k​e​r​/​m​e​l​d​u​n​g​/​D​a​t​e​n​s​c​h​u​t​z​-​u​n​d​-​S​o​c​i​a​l​-​M​e​d​i​a​-​D​e​r​-​c​t​-​S​h​a​r​i​f​f​-​i​s​t​-​i​m​-​U​s​a​tz-2470103. Html pro­vid­ed. The use of the Shar­iff com­po­nent is intend­ed to pro­tect the per­son­al data of the vis­i­tors of my web­site and to enable us to inte­grate a but­ton solu­tion for social net­works on this web­site. Art. 6(1) lit. a GDPR serves as the legal basis for pro­cess­ing oper­a­tions for which I obtain con­sent for a spe­cif­ic pro­cess­ing pur­pose. If the pro­cess­ing of per­son­al data is nec­es­sary for the per­for­mance of a con­tract to which the data sub­ject is par­ty, as is the case, for exam­ple, when pro­cess­ing oper­a­tions are nec­es­sary for the sup­ply of goods or to pro­vide any oth­er ser­vice, the pro­cess­ing is based on Arti­cle 6(1) lit. b GDPR. The same applies to such pro­cess­ing oper­a­tions which are nec­es­sary for car­ry­ing out pre-con­trac­tu­al mea­sures, for exam­ple in the case of inquiries con­cern­ing my prod­ucts or ser­vices. Is my per­son sub­ject to a legal oblig­a­tion by which pro­cess­ing of per­son­al data is required, such as for the ful­fill­ment of tax oblig­a­tions, the pro­cess­ing is based on Art. 6(1) lit. c GDPR. In rare cas­es, the pro­cess­ing of per­son­al data may be nec­es­sary to pro­tect the vital inter­ests of the data sub­ject or of anoth­er nat­ur­al per­son. This would be the case, for exam­ple, if a vis­i­tor were injured and his name, age, health insur­ance data or oth­er vital infor­ma­tion would have to be passed on to a doc­tor, hos­pi­tal or oth­er third par­ty. Then the pro­cess­ing would be based on Art. 6(1) lit. d GDPR. Final­ly, pro­cess­ing oper­a­tions could be based on Arti­cle 6(1) lit. f GDPR. This legal basis is used for pro­cess­ing oper­a­tions which are not cov­ered by any of the above­men­tioned legal grounds, if pro­cess­ing is nec­es­sary for the pur­pos­es of the legit­i­mate inter­ests pur­sued by me or by a third par­ty, except where such inter­ests are over­rid­den by the inter­ests or fun­da­men­tal rights and free­doms of the data sub­ject which require pro­tec­tion of per­son­al data. Such pro­cess­ing oper­a­tions are par­tic­u­lar­ly per­mis­si­ble because they have been specif­i­cal­ly men­tioned by the Euro­pean leg­is­la­tor. He con­sid­ered that a legit­i­mate inter­est could be assumed if the data sub­ject is a client of the con­troller (Recital 47 Sen­tence 2 GDPR). Where the pro­cess­ing of per­son­al data is based on Arti­cle 6(1) lit. f GDPR my legit­i­mate inter­est is to car­ry out my busi­ness. I clar­i­fy that the pro­vi­sion of per­son­al data is part­ly required by law (e.g. tax reg­u­la­tions) or can also result from con­trac­tu­al pro­vi­sions (e.g. infor­ma­tion on the con­trac­tu­al part­ner). Some­times it may be nec­es­sary to con­clude a con­tract that the data sub­ject pro­vides me with per­son­al data, which must sub­se­quent­ly be processed by me. The data sub­ject is, for exam­ple, oblig­ed to pro­vide me with per­son­al data when I sign a con­tract with him or her. The non-pro­vi­sion of the per­son­al data would have the con­se­quence that the con­tract with the data sub­ject could not be con­clud­ed. Before per­son­al data is pro­vid­ed by the data sub­ject, the data sub­ject must con­tact me. I clar­i­fy to the data sub­ject whether the pro­vi­sion of the per­son­al data is required by law or con­tract or is nec­es­sary for the con­clu­sion of the con­tract, whether there is an oblig­a­tion to pro­vide the per­son­al data and the con­se­quences of non-pro­vi­sion of the per­son­al data. As a respon­si­ble per­son, I do not use auto­mat­ic deci­sion-mak­ing or pro­fil­ing. This Pri­va­cy Pol­i­cy has been gen­er­at­ed by the Pri­va­cy Pol­i­cy Gen­er­a­tor of the Ger­man Asso­ci­a­tion for Data Pro­tec­tion that was devel­oped in coop­er­a­tion with Pri­va­cy Lawyers from WILDE BEUGER SOLMECKE, Cologne.